The power supply specialist Bicker Elektronik, Donauwörth, published two new product catalogues: “POWER SOLUTIONS For Industrial And Medical Systems” with latest power supply and UPS solutions as well as “POWER+BOARD Solutions For Professionals” with selected PSU+Mainboard bundles, system components and industrial grade accessories for industrial computer systems. The publications are aimed primarily at system developers, purchasers and project managers in the fields of industrial automation, IIoT / Industry 4.0, medical and laboratory technology, gaming, PoS / PoI, digital signage, energy, security, communications and data technology, maritime and transportation. The new product catalogue “POWER SOLUTIONS” with power supply and UPS solutions for industrial and medical systems is divided into the main categories „Industrial PC Power Supplies“, „Industrial Power Supplies“, „Medical Grade Power Supplies“, „DC / DC Converters“ and „UPS Systems“. In particular, the DC UPS area has been greatly expanded by numerous new products with innovative battery technologies such as Supercaps and LiFePO4. 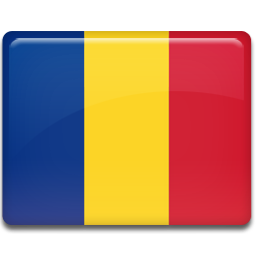 Each product in the catalogue is represented by a compact overview with the most important key figures. With the help of a QR code, the reader can get directly to the current data sheet or can call up further information on the website. Highlight products are presented in detail on separate double pages with features and product advantages, so that the reader can get a comprehensive overview of the power supply portfolio at Bicker Elektronik. 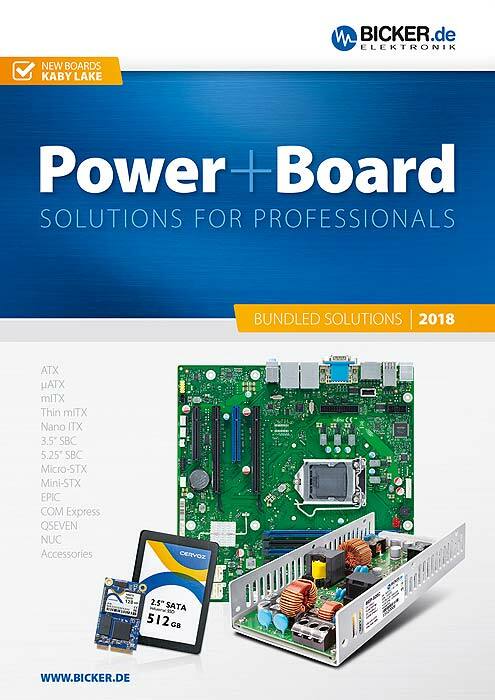 The second new catalogue “POWER+BOARD” contains professional one-stop solutions with laboratory-tested Power+Board bundles consisting of power supply + industrial mainboard + industrial-grade accessories and processors. The preconfigured and perfectly matching bundled solutions for a variety of applications save a lot of time and money for system developers of IPC and embedded computer systems. The Power+Board specialists from Bicker Elektronik also offer comprehensive value-added services with personal advice, design-in support and excellent service and support. Customers choose between a wide variety of power supply and UPS solutions plus industrial mainboards of four manufacturers: Fujitsu, ASRock, Avalue and Perfectron. Bicker Elektronik’s Power+Board program offers industrial storage solutions with “Fixed BOM” (Bill of Materials), Industrial Embedded Modules (mSATA / M.2), MiniPCIe Expansion Cards, Industrial SSD as well as active / passive cooling and individual heatpipe solutions for closed and fanless systems. Both catalogues are available for download on the website www.bicker.de or can be requested there in printed form free of charge. For all further questions, the Bicker Elektronik team is personally available to all interested parties and customers at any time.